Japan's work culture is so intense, people in the 1970s invented a word that translates to "death by overwork." Karoshi, as it's known, involves employees committing suicide or suffering from heart failure and stroke due to long hours. The Japanese federal government has taken steps to reduce karoshi cases, but experts fear the measures don't go far enough. 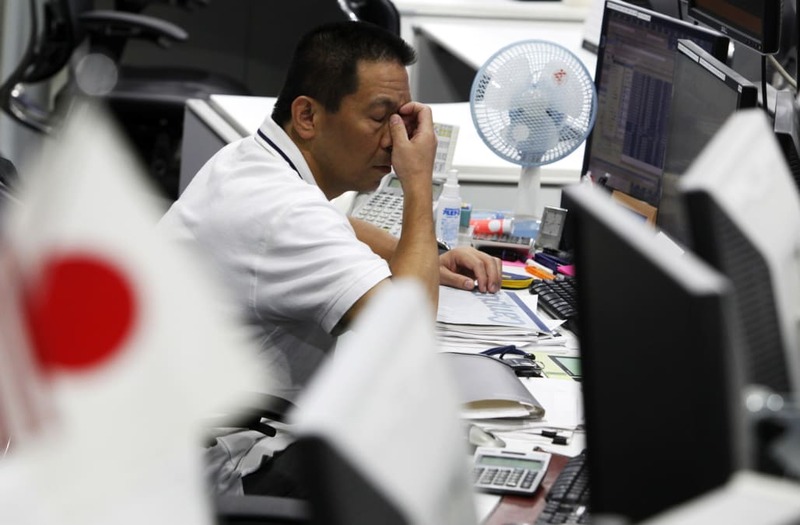 Ever since the late 1970s, Japan has had a word to refer to people dying from spending too much time in the office: karoshi. The literal translation is "death by overwork." The latest employee death determined to be karoshi was 31-year-old journalist Miwa Sado. She reportedly logged 159 hours of overtime in one month at the news network NHK, before dying of heart failure in July 2013. Her death was just recently announced as karoshi in early October 2017. Before that, 24-year-old Matsuri Takahashi worked 105 hours of overtime in a month at the Japanese ad agency Dentsu. Takahashi leapt from her employer's roof on Christmas Day 2015. Tadashi Ishii, Dentsu's president and CEO, resigned a month later. Japan's karoshi concept can be traced back to the aftermath of World War II. But within a decade of Yoshida's initial call, Japanese workers began committing suicide and suffering strokes or heart failure from the enormous burdens of stress and sleep deprivation. Initially, the ailment was known as "occupational sudden death," as the fatalities were primarily job-related, according to researchers studying the history of karoshi. In their quest to make good impressions on their bosses, workers began putting their undying loyalty to the ultimate test. Fast-forward to today and the picture of work-life balance in Japan is hardly any better. In the US, 16.4% of people work an average of 49 hours or longer each week. In Japan, more than 20% do, according to the report. Half of all respondents said they don't take paid vacations. Instead of karoshi cases affecting a majority-male workforce, as they used to, now women like Takahashi and Sado also suffer the consequences of staying committed to a job. "It's 4 a.m. My body's trembling," Takahashi reportedly said in one Twitter post. "I'm going to die. I'm so tired." It's not uncommon for young employees in Japan to work long hours. Bosses expect young employees still working their way up the corporate ladder to arrive early and leave late, often well into the night. Takehiro Onuki, a 31-year-old salesman, often arrives at 8 a.m. and leaves at midnight. He sees his wife only on the weekends. So it goes for countless other Japanese employees, many of whom work in white-collar jobs that come with rigid hierarchies. Advancement is earned through back-breaking effort. And people seldom leave their jobs because finding a new one means starting from scratch, not at the level they just left. The result is an entire generation of workers desperate to seem devoted to their work. Japan is trying to curb cases of karoshi through policies that give people more time off at work. Soon after Takahashi's suicide in December 2016, the federal government announced its Premium Friday plan. Effective immediately, workers would get the chance to leave at 3 p.m. on the last Friday of each month. Now eight months into the program, the government hasn't seen much success. Many Japanese companies are organizing their monthly finances and looking to hit sales targets at the end of the month; a shorter day has only made people busier. "We will listen to various views both from the viewpoint of boosting consumer spending and achieving work-style reform, and review the campaign if necessary," Hiroshige Seko, a Japanese politician leading the program, recently told Japan Times. Other companies have tried to minimize karoshi cases by offering breakfast to those arriving early, dissuading them from staying too late. Others have let workers take more time off as needed. Experts on Japanese culture are skeptical these measures will make a long-term impact, however. They believe Japan's true problem lies in its view of gender roles. Frances Rosenbluth, a political scientist at Yale University, has said the best strategy for cutting working hours is to give firms tax breaks if they hire more women, thereby increasing the labor pool. But she acknowledged it won't be easy. "What do you do about the fact that firms' incentives don't align with the social desirability of changing this problem?" Rosenbluth told Business Insider. "That's a hard one."